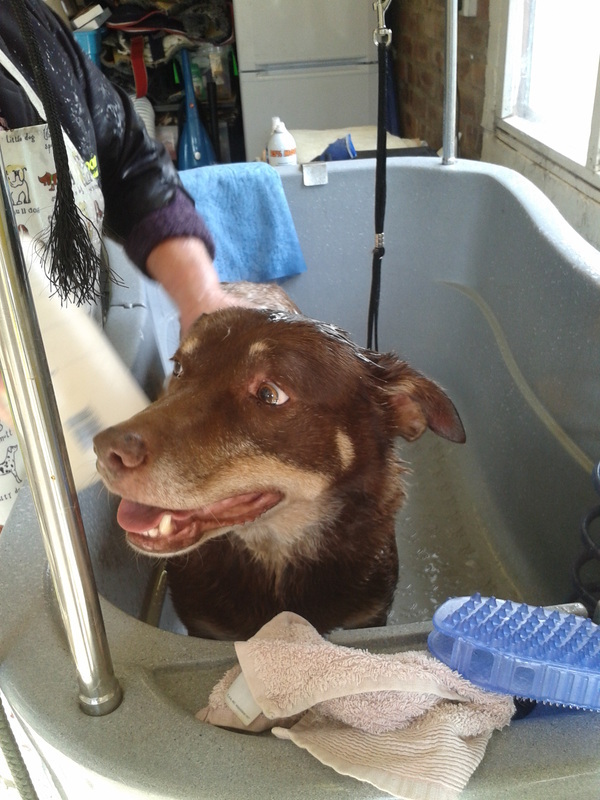 Hi everyone this is me Dingo having a bath at auntie Annes, I love it! 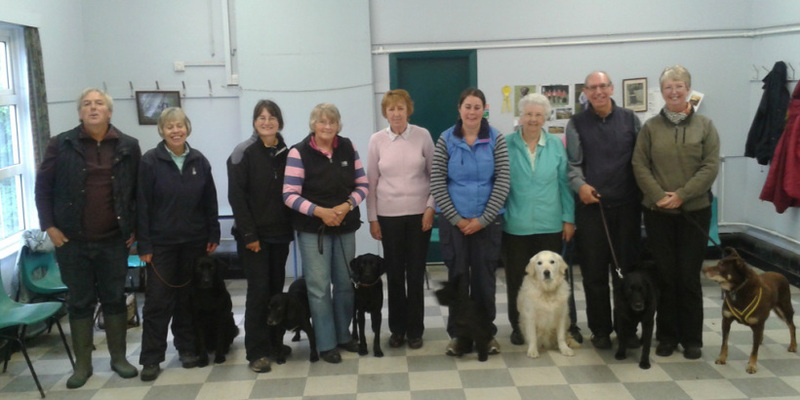 We have enjoyed another wonderful year with our dog school, cannot believe we have been around for 18 years! whew!! where did the time go. 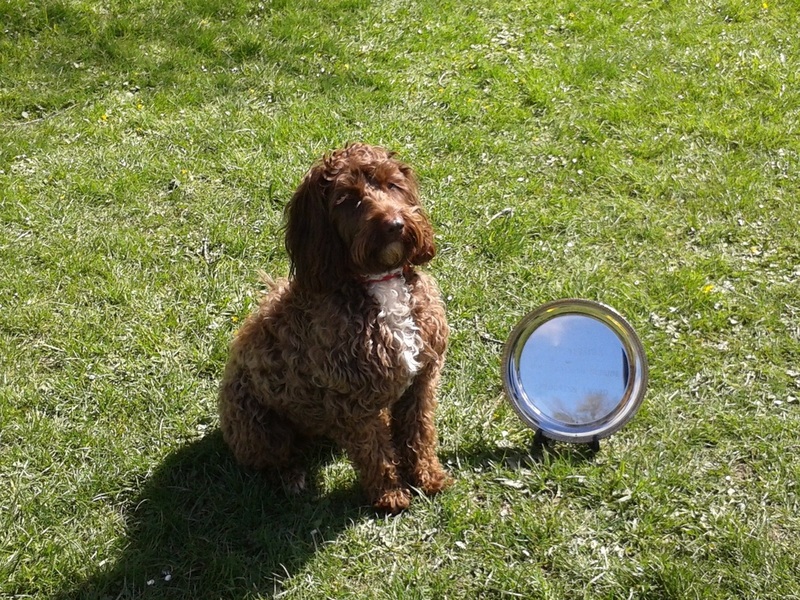 All our classes have been very busy all year, its lovely to see so many of our past pupils returning with their new pups/dogs and recommending us to others. This has been a special year as we held our charity event in the summer and raised an amazing amount of money, is`nt it lovely what dogs can achieve! 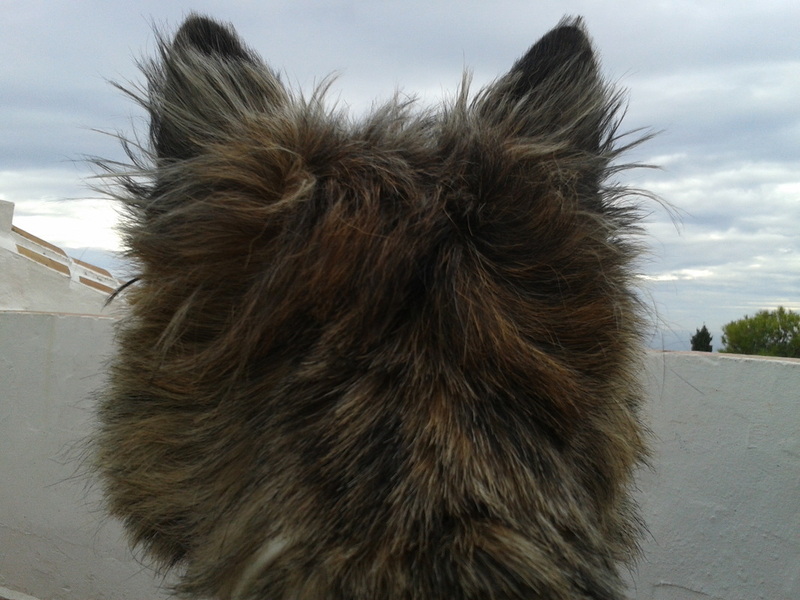 We are going to have our winter break now and will be back in the new year with renewed energy looking forward to meeting and helping many more dogs. 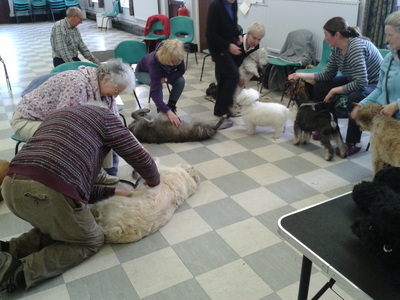 We are holding the dogs party today, everyone at class for 11am please. 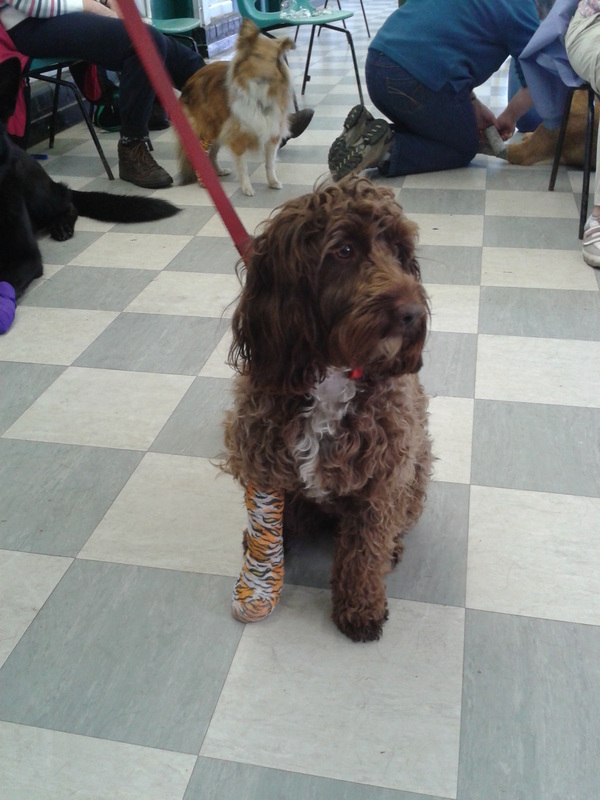 Seeing the dogs dressed up in fancy dress and enjoying the games is a good end to a busy training year. We have all enjoyed our end of year party at the Beaufort Park Hotel once again they put on a lovely meal for 38 of our pupils and friends. As always we enjoyed lots of banter with plenty of balloon races! and a quiz. Congratulations to all of you and good luck for next season at the shows. We are so very proud of you both. We were so sorry to hear from Lesley that she has lost her wonderful Border Collie Robbie after a short illness, he has been a regular member of our group for nearly 10 years and everybody loved him. 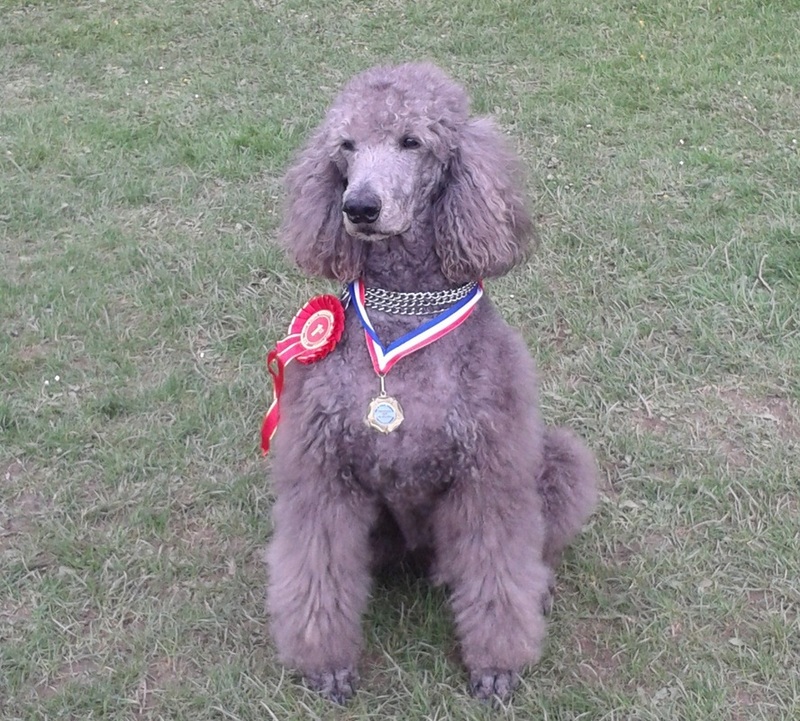 Lesley had him from the RSPCA as a youngster, being a lively character he suited Lesley and they both moved on very quickly through the classes up to competition where they won a prize every time they competed, they also took part in agility which Rob enjoyed very much. We will miss him very much at class and would like to send our deepest sympathy to Lesley, Paco and family. 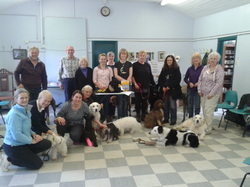 I have just had a lovely letter from Beryl Powell of North West Cancer Research, she thanks our lovely dog training group for their help in raising funds for this year. 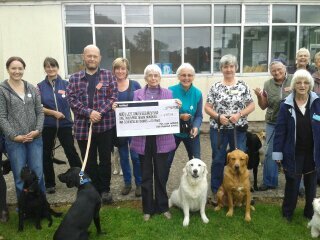 They are able to give £30,000 to research and Beryl tells me our donation was the largest this year £1,717.50, is`nt that wonderful! 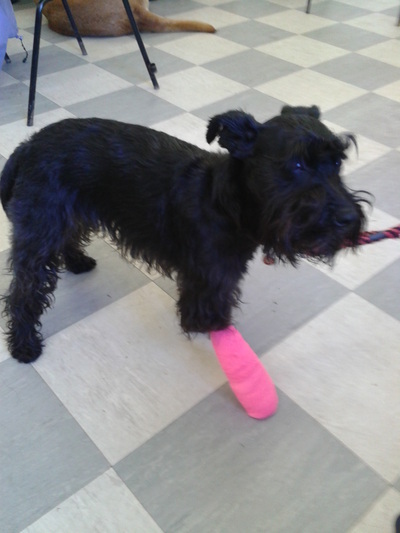 are`nt dogs wonderful! Colin and I are very proud of all our pupils. PROGRESS TEST - Our autumn progress test has taken place and once again we had a wonderful day with all our pupils trying hard to gain the best rosette. Everyone went home with a rosette and the best dog! Well what a great day we had! 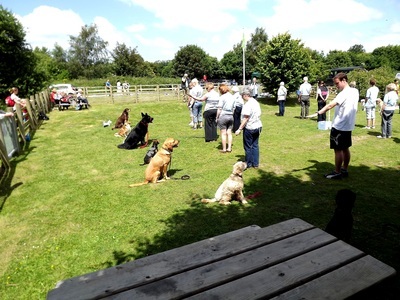 30 dogs took part in the sponsored down stay exercise and all were successful, fabulous! 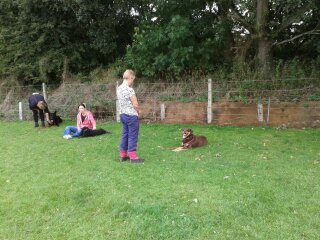 Beryl Powell from the charity was in attendance with her son and was very impressed with the whole group of dogs and owners. Saturday 27th September at our progress test. 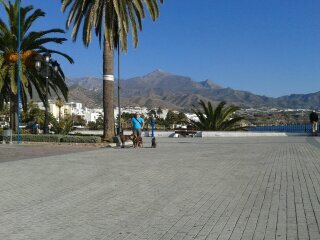 Colin and I would like to say a big thank you all our pupils for their support. 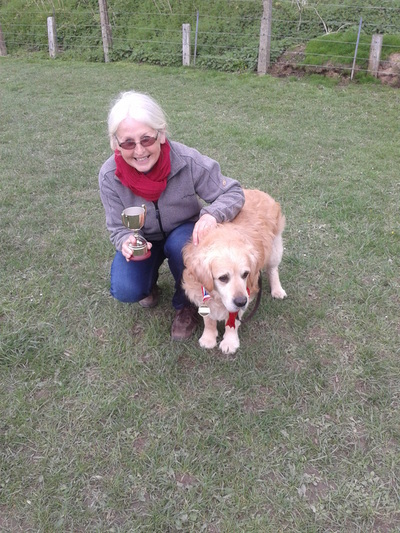 We were so very sorry to hear that Ann Johnson has had to say goodbye to her wonderful Goldie Max. Having rescued him in a really bad condition through the golden retriever rescue several years ago Ann and her family spent a lot of time and effort improving his health and happiness, he turned out to be a lovely dog with his own ideas on training which we all enjoyed watching, he won many prizes in our progress tests which Ann undertook with an iron will and a big smile on her face. 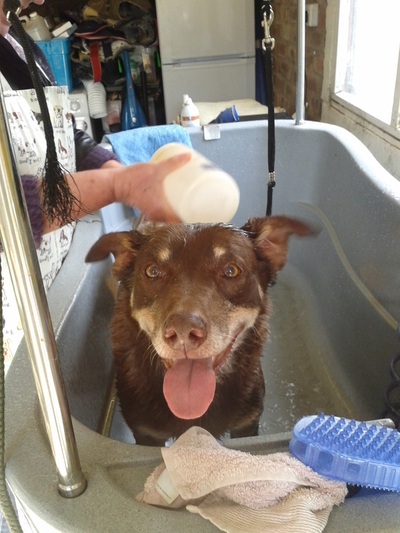 He and Destin have helped Ann through some very tough times recently, he gave great comfort and companionship. He will be greatly missed at the class and we offer our deepest sympathy to Ann and her family. Our advanced and competition class performed an obedience display and this year we included a barn dance that we had been working on at the local fete. 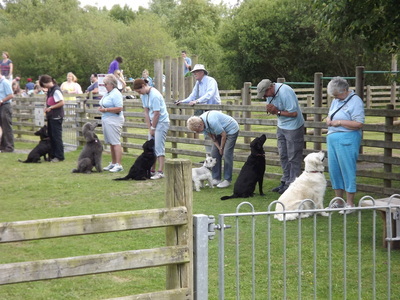 Below is a picture of those taking part, it all went well and the crowds really enjoyed seeing our wonderful dogs. 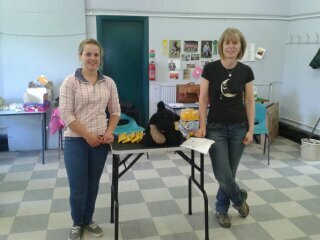 CONGRATULATIONS TO GILL AND EVIE ON GAINING THEIR FIRST EVER ROSETTE, 6TH PLACE IN PRE BEGINNERS AT CHADKIRK DOG SHOW. WE ALL LOOK FORWARD TO THE CAKES AT CLASS. VERY WELL DONE, WE ARE PROUD OF YOU BOTH. 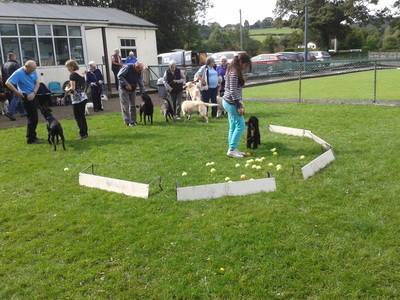 16 of our pupils took part in a display of obedience which was really impressive, we had lots of positive comments from the huge crowd of dog lovers watching. 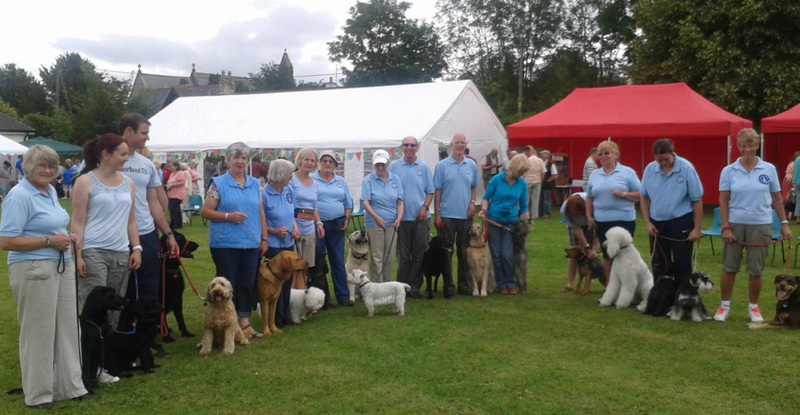 The show made over £1,000 for the rescue charity and we were really pleased to help out on such a lovely day. well done we are very proud of you all. 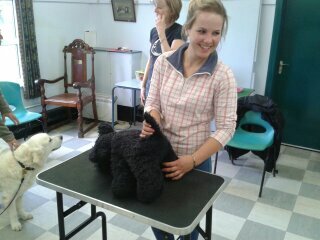 We are very pleased to have Christine Smeaton coming as guest trainer for our competition class. 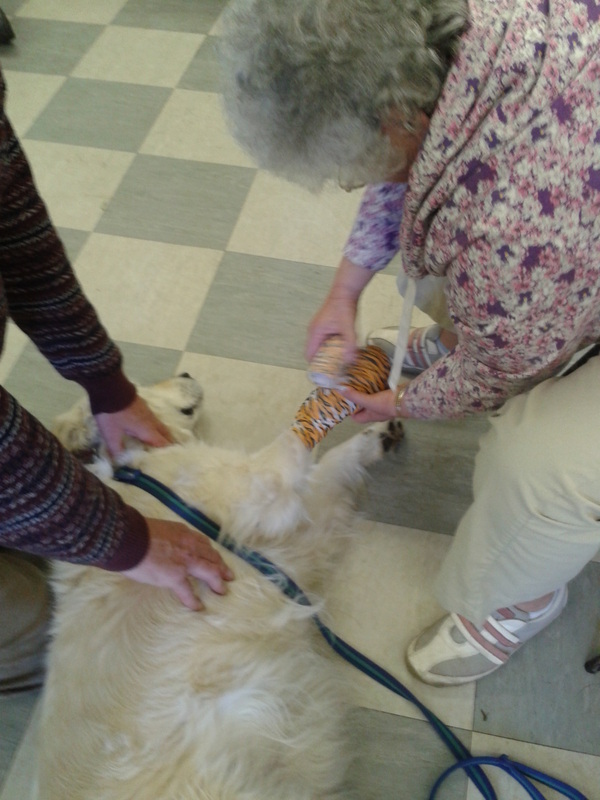 We enjoyed another interesting and informative session on first aid from Judy and Aimee from the GRANGE VETS IN MOLD. 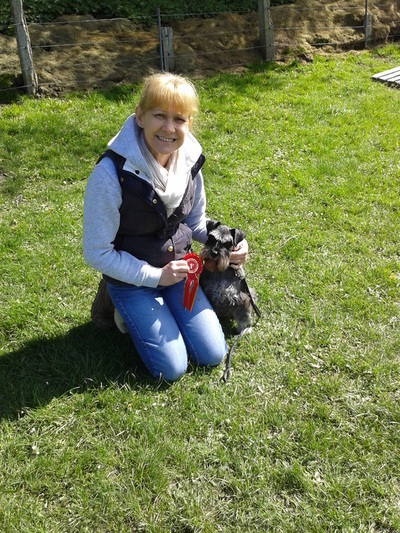 Congratulations to Janet and Bruno coming 5th in A at Southport dog show. What a wonderful Labrador he is! We are so proud of you both. We held a very interesting and entertaining first aid course which was given by Judy and Philipa from the Grange Veterinary surgery Mold. 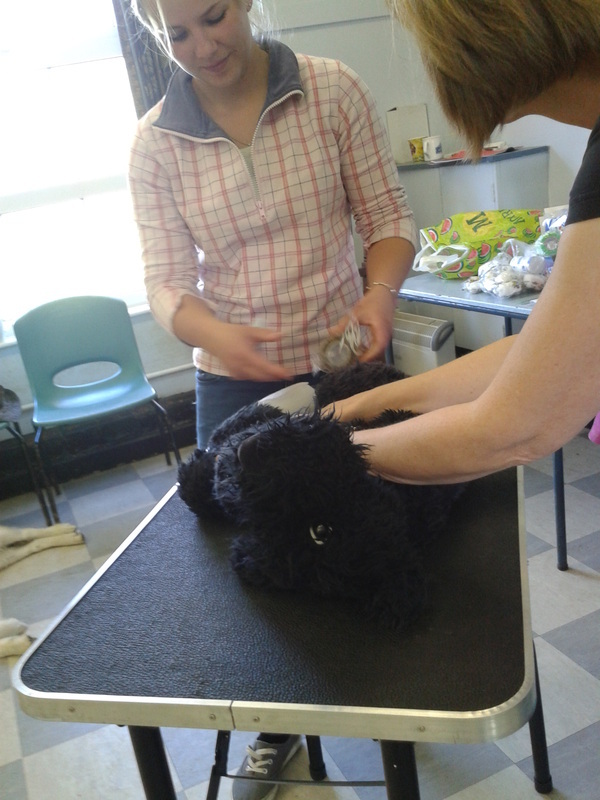 12 of our pupils attended and I am sure we all learned something which would help us in a situation where our dogs were ill or injured. 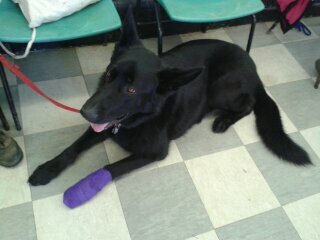 All the dogs ended up with a fancy bandage on their leg! Thank you very much Judy and Philipa and we look forward to having you with us again soon. 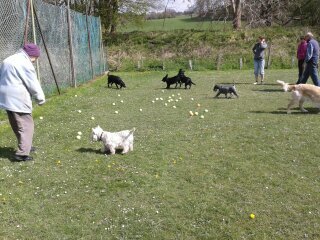 Its easter at dog school today so we had a bit of fun with all the dogs doing an easter egg hunt ( tennis balls with numbers on! ), the dog with the highest number on their eggs was the winner! PS. 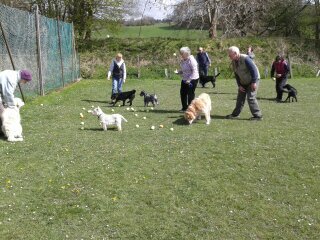 dogs love tennis balls! as you can see. John has very kindly made us a lovely new jump to use at class, thank you sooo much for all your hard work. 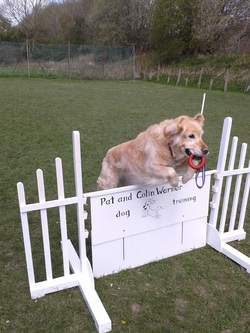 Here is Rosie his dog showing us all how to retrieve over it! 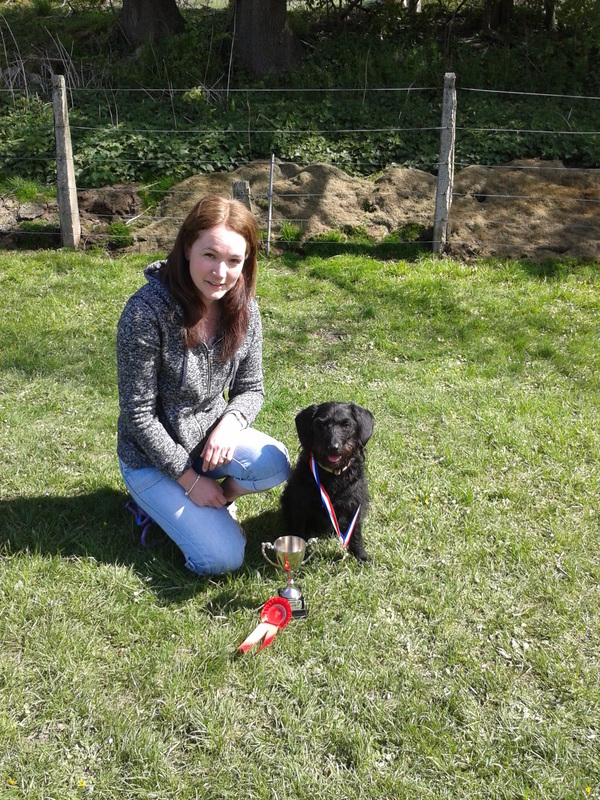 CONGRATULATIONS TO EMMA AND BARNEY coming 3rd in pre beginners at Anglesey dog show. What a fabulous day we all had, 33 of our pupils took part all hoping to do their best and win a good prize. Many thanks to our judges Janet Rimmer and Christine Smeaton. 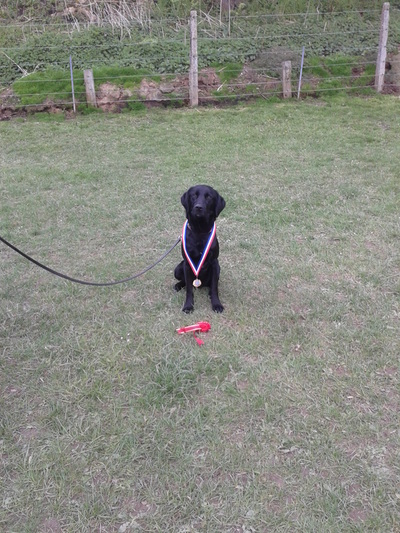 All 33 dogs went home with a rosette, congratulations to everyone. As from April we will have to say a fond farewell to our venue at Rhosddu community centre in Wrexham; the council in their wisdom have decided to close it down! we had been there for many happy years. Our lovely new venue is ST JOHNS CHURCH HALL, RHOSNESNI, only half a mile from Rhosddu, we are looking forward to continuing with our classes and helping the people of Wrexham with their dogs. 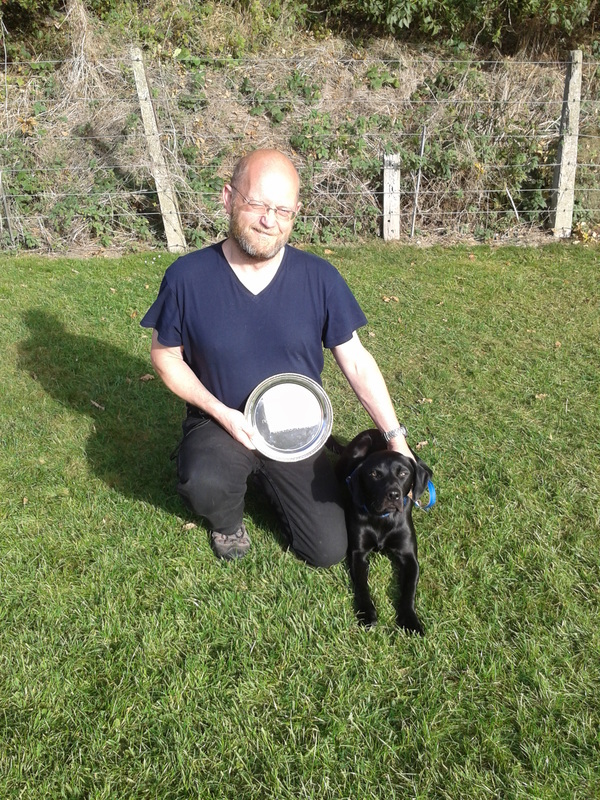 We are very sorry to hear that Janet and Geoff have had to say good bye to their wonderful labrador Oliver. Ollie was one of our original competition dogs and he and Janet won many prizes and hearts on their way through the classes. We will miss him greatly and offer our sincere sympathies. 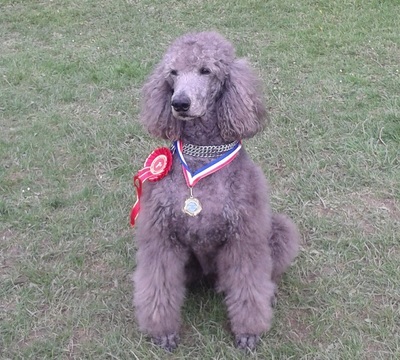 We all went down to the NEC in Birmingham to visit Crufts dog show. 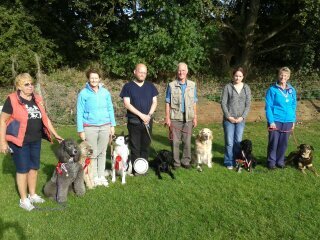 We are just back from our lovely winter break in the sun, we had a wonderful time with our dogs but are now ready and rareing to go with the classes and looking forward to meeting lots of new dogs again this year. 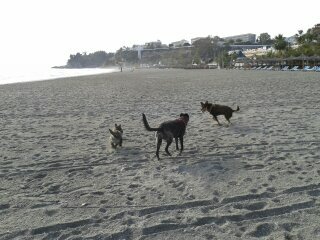 This beach is all ours! !